Provenance:Frost and Reed, Bristol, Registered no.D11644Exhibited:The Royal Academy of Art, Sir William Russell Flint Exhibition, 1962,Keith Gardner, Sir William Russell Flint 1880-1969. A Comparative review of the artists signed limited edition prints 1986. "The Europeanised groups in the crowds were certainly not attractive but western attire could not hide the Egyptian character of the women's features. Away from the centre of the city the native swarms were totally different and well worth watching. 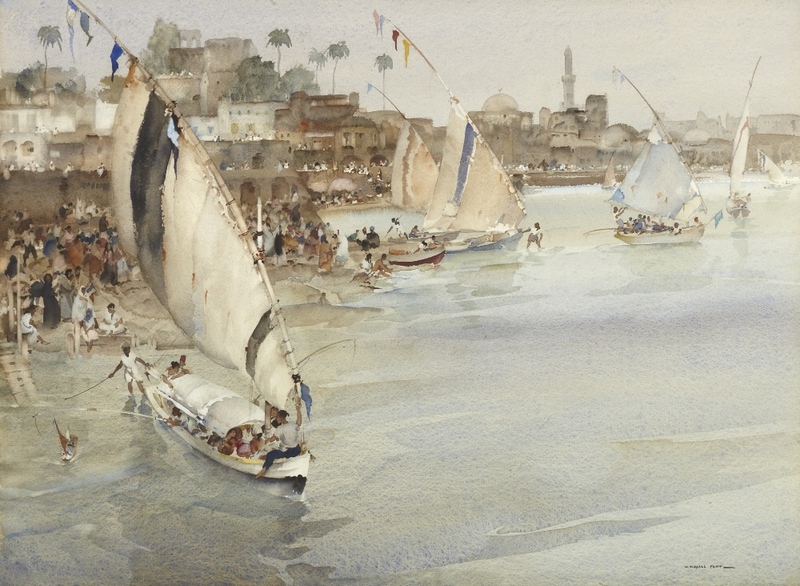 Many took to the Nile and acted as unsecured ballast for the numerous top-heavy sailing craft. My sketch book had never kept busier."